Download Tiny Titan, One Small Gift for Kindle here . I sunk into despair. The holiday was fast approaching and Christmas was the last thing on our minds with Becca critically ill in the PICU and everyone else sick too. There was no money for gifts, and there was no time to buy or make anything. I was sick, tired and depressed over the circumstances we found ourselves in. If the phone rang, I was afraid to answer it because it might carry the news that Becca was worsening or no longer here. The phone was a constant reminder of trouble. It rang with bill collectors waiting for money. It rang when medical personnel had more dreaded news or another crisis for Becca. My emotions rose and fell like tidal waves, up, up, up and down, down, down. I tried not to think; not thinking was how I coped. It was like the stairs I ran at the hospital, up and down, and then I’d stop and sit, empty and mindless. I could not think about my children going without gifts at Christmas, but our lives were impossibly out of control. We had fallen into a dark hole due to no fault of my innocent children. 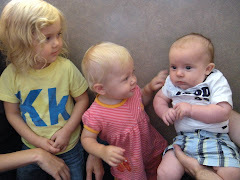 At any moment they were going to lose their new baby sister. They were caught in the tidal wave of catastrophic illness when they needed a Santa most to give them hope. How would I explain to my children that Santa forgot them? I was used to planning ahead and beginning in July bought two presents each month to cover birthdays and Christmas. Over the years my frugal plan had worked flawlessly. I squirreled away the hottest toys for Christmas gifts with early season purchases. While other families were school shopping I was making wishes come true. 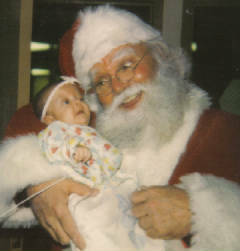 It was a challenge to make my kids birthdays and Christmas memorable. I love the holidays and I began to bargain shop for Marissa’s September birthday gift. I budgeted a little each month until Christmas, finding sale and clearance treasures, completing my shopping race under budget. In November we celebrated Jim, Nathan and Ian’s birthdays followed in December by Matt’s birthday, and then Kristy’s birthday in early January. The gifts I bought with Jim’s carpet points guaranteed the boys November birthday gifts. Matt at age three was easy; all I needed was something big. Big for my little kids were exciting and ten dollars went a long way. Other than that I had nothing. We had already used the house payment money to pay for medicine, throat cultures and doctors visits for the kids and me while we were sick. I was a rookie in the being broke game. I called Toys for Tots and discovered I was too late. They quit accepting new registrations before Thanksgiving. Luckily I remembered buried in the rafters, hidden from my sneaky children I had one gift I had purchased before things fell apart. Before Becca was born I had purchased the new pirate ship Lego set that had caught Nathan’s eye. It was an expensive present, and I could put both boys’ names on it. I had already cut out doll clothes and a dance costume for Marissa, but the fabric pieces remained on my closet shelf while I was sick. Now that Marissa was home from kindergarten I would not be able to get the covert sewing done, besides I was still too dizzy to sew my visions for Marissa’s holiday present. My eyes were seeing double. We would share dinner with relatives and I hoped I would have a dish to pass, but my cupboards were as bare as Old Mother Hubbard’s. My head spun at the thoughts of a hopeless Christmas and the room took another whirl; exhausted I took some Benadryl and fell back to sleep. While I slept, Kristy took the picture of Becca from the fireplace and sat alone in a quiet place to cry. It was something I never knew she did until years later. People often think children don’t know what’s happening but they are much more a part of the reality than the adults realize. 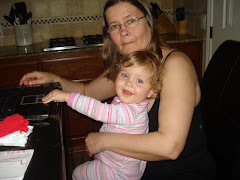 Kristy never complained and she protected us by caring for the little ones and not adding to our burdens. I worried sometimes about how this would affect her in the future. Today, she tells me it was the substance that made her strong. The little elves in my family executed a Christmas plan. Kristy found the Christmas tree in the garage, and she and Nathan, my mechanic, assembled it. Ian and Marissa got busy cutting out paper snowflakes and hung them with dental floss from the ceiling and windows. My little red and green sewing pins stuck six stockings to the mantle. When I awoke, they surprised me with their magical transformation. I had not lifted a finger. They had carefully hung each of their hand made wooden, beaded angel and needlework ornaments crafted by Jim’s parents. Hundreds of hours of love radiated from the tree centered in a carpet of paper snowflake snippets. I explained to them that Christmas was about family and being together and sharing memories. What was going to be special about this Christmas was that the Yurceks were a family. Christmas is about the baby in the manger who brings hope to a dying world. Our baby was in the hospital and all we had was hope. After spending seven days in bed, I was regaining my strength. My children were ready for Christmas. I was not. I couldn’t expect my parents to shower my children with toys; they were struggling with my dad’s recent unemployment. My parents blessed my children with attention, but had no financial resources to give. 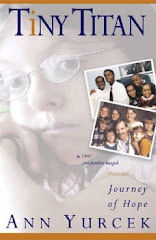 Becca was transferred to the Pediatric Intensive Care Unit (PICU) just as I had fallen ill. It had been a very long nine days and finally the kids and I were well. I was healthy enough to see Becca and had been given clearance to drive. I was no longer dizzy. The PICU had a circular desk, and different beds surrounded it. Off to the side with glass doors were the isolation rooms. One of them housed my Becca, who looked so tiny in the crib in such a big room. She was on oxygen, and they explained to me that she kept forgetting to breathe due to the RSV and pneumonia. The respiratory therapist gave her a treatment to help clear her lungs. She had a blood staph infection, her feedings were on hold, and they were giving her nutrition and fluid by IV. Her heart was in failure. Merry Christmas was far from my thoughts. Bah Humbug! This was not merry, not merry at all. I was dreading Christmas and I was feeling like Ebenezer Scrooge. Startled out of my doldrums, Mary was standing in front of me saying hello. The nurses had called her to let her know I had arrived. She had something she needed me to sign. That’s all I had been doing, signing, and waiting, and hoping, and praying. Bah Humbug! She took me to her office. I had no idea where her office was as she always brought the paperwork to me. She opened the door and picked up a large shopping bag. Her smile radiated. “Merry Christmas!” she exclaimed. The nurses had shopped for families who would be without for the holidays. They picked out a present for each one of my six kids. They even purchased the batteries for the remote control car for Nathan. They thought of everything. The bag contained a roll of wrapping paper, bows and even the tape. It’s nooks and crannies were filled with little treats – a box of candy canes and five chocolate Santa Clauses to peek out of the top of the stockings. Miracles really do happen and my wish had been granted. My kids would have Christmas. Mary told me that the hospital employees often play Santa for families to make sure they would not face the holidays empty handed. She knew that if I were skipping meals to feed the children, there would be nothing for Christmas. I returned to Becca’s isolation room. She was much too sick to be held. I savored a moment of calm and thankfulness. Slowly I was learning to savor tiny moments of peace and tranquility. I stayed by her side quietly reading before heading home with my miracle sack. I felt so thankful for the graciousness of these kind people. With my ritual kiss goodbye and whispering I love you, I prayed to her angels that she would be here when I returned. My kids are notoriously nosy and I wanted to surprise them on Christmas morning. I rushed off to pick up Matt and Marissa at Mom’s and stashed the Christmas gifts before the older ones had a clue. While I had been sick, Mom had been busy and blessed us with another surprise. She had sewn Kristy and Marissa new Christmas dresses and my aunt had bought sweaters for the three boys. All my five kids would have new matching outfits to wear for Christmas. Jim closed the store early on Christmas Eve and helped me dress the little kids for the Christmas Eve service. I told Jim my secret miracle and we smiled eye messages across the heads of our stair step sized children sitting between us in the church pew. We sang for the birth of baby Jesus and our hearts cried out for a Christmas miracle for Becca. After the service the kids played in the manger, Marissa and Matt rode the lifelike donkey proclaiming they were on their way to Bethlehem while I stared down at the tiny doll in the manger and said a quiet prayer for my little baby lying so far away, all alone, in a bed in the PICU. We needed hope in the midst of such incredible sorrow. Mom invited us for cake and ice cream after the service, but I had other plans. Families are supposed to be together and I was not going to allow Becca to be alone on Christmas. We all went to the hospital to visit Becca, but only Kristy and I were able to go to PICU. Jim stayed with the other kids in the lobby while Kristy and I went to say Merry Christmas to Becca. Each child had made Becca a card and the nurse taped the cards to the wall above her bed. I hung Becca’s handmade stocking on the foot of her crib, putting on the Christmas music Kristy had recorded. I made a special Christmas wish, asking for a miracle for Becca. I left her again with a kiss on her feverish cheek and wished her a Merry Christmas and a very blessed goodnight. The walk from PICU to the lobby seemed endless, my heart heavy laden with grief, babies should be home with mommies and daddies on Christmas Eve. Fresh snow had fallen, and instead of hurrying home on the freeway we meandered past the lighted mansions on Summit Avenue of St. Paul. We passed the Cathedral and the Governor’s manor. The children marveled at the beautifully decorated homes. Matt clapped his hands in joy, while the others argued over which house was the favorite. Ian and Kristy engaged in a competitive battle. Marissa’s face was lit up from the wonder of the lights and its beauty. The kids were enjoying the ride so much that we wound our way home through parks, and lakes, and residential streets for over an hour. It was peaceful and calming. The kids quieted and Matt fell asleep. Scattered snowflakes were falling and Jim and I listened to the Christmas music playing from the radio. The radio DJ announced that Santa was spotted circling the globe, and Marissa and Ian excitingly questioned how he managed to get all the work done in one evening? This explanation I left to Jim, it was his turn to try to satisfy his children’s curiosity. His eyes sparkled as he told them Santa was magic and can make anything happen if you only believe. It was a heavenly ride. I reached across the seat setting my hand on Jim’s knee. Jim’s answer had satisfied the children’s curiosity, and Kristy had caught my glare, playing along with the magic of the moment. It was nearly midnight when we arrived home and the house was pitch black to save on electricity. As we pulled in the driveway, the mini van’s lights shone upon dark shadows lying near the door. Jim hopped out of the van to see what was going on. Then he summoned us as if it were nothing. What were they talking about? I grabbed a confused, groggy Matt. There were nearly a dozen or so thirty-gallon black trash bags left sitting by our front door. Jim and the big kids carried in the bags. The children tore open the plastic bags to discover dozens of wrapped presents with their names on them. It was blessed chaos. There were tons of groceries, toilet paper, and shampoo. Everything we were out of. Kristy, Nathan and Ian were stacking the packages by the tree while Marissa and Matt played mountain climbers scaling the huge mounds of packages. Kristy screamed as she caught the tree from falling. Marissa narrowly escaped a plunge from the top of Gift Mountain. Our children were bouncing off the walls, but we finally convinced them that it wasn’t Christmas yet, and Santa required they open presents on Christmas morning like in The Night Before Christmas. They didn’t argue because we had just read the story. Marissa wondered why Santa left them outside, instead of bringing them down the chimney. Ian, who always had an answer for everything, announced, “he had so much dummy; if he brought the bags down the chimney, he would get the chimney stopped up.” Kristy added “that the house was locked and he could not bring them in the door.” Finally they all scampered off to their rooms and soon were snuggled in beds dreaming of Christmas miracles. Shortly after midnight the phone rang. It was the resident from PICU calling us to let us know Becca had turned the corner and they upgraded her status to stable. She was improving and was breathing easier so they had removed the ventilator; Becca was now breathing on her own and on supplemental oxygen! Becca was getting better! My Christmas prayers had been answered. And someone, some Santa somewhere had fulfilled my wishes. He or she arrived with bags of toys, and goodies, and groceries. My cupboards would no longer be bare. Jim and I had no means to provide for our family, yet someone, somewhere, knew our needs. I thanked the baby in the manger for this Christmas miracle. Jim and I put away the much-needed groceries. Two turkeys, packages of hamburger and chicken went into the freezer. We put the canned goods on the shelves . . .apples and oranges, carrots and potatoes, and onions . . . bathroom and hygiene products. There were even a couple loaves of expensive rice bread. Whoever brought this Christmas miracle, had not forgotten anything. They had even picked up a double pack of diapers for Matt who was regressing from his potty training in his upside down life. The real Christmas miracles were hidden in the tiny details. Buried deep in one of the bags I discovered a brand new pair of much needed white Reebok tennis shoes for me. They fit perfectly. We filled the stockings with candy and small gifts from the bags the kids had not seen. With the gifts from the hospital and the one from us for Nathan and Ian, we had more presents than we had ever imagined. Our room looked like a Hollywood movie Christmas morning scene. Where did all this come from? Jim and I crawled into bed, hoping to get a few hours of sleep before the kids scrambled upon us to open their presents. They were tired from the late night and for the first time ever on Christmas morning; they slept until 8:00 A.M..
Kristy in her sweats and the little ones in their blanketed sleepers tore into the pile of packages. One, two, three, four, five, six, seven, I lost count of the gifts they each received. Nathan screamed pulling out a pair of roller blades, the current hottest trend retailing at $l50 a pair. Who had done this? Ian soon discovered he had a pair too! Kristy found a boom box, a jewelry box, curling iron and music to play. Packages marked to the Yurcek family contained a VCR to replace the one that had been stolen when our house had been robbed and ransacked right before Becca’s birth. There were movies, games, books, colored markers, and art kits for each child. Even Becca was not forgotten. She got new clothes, a diaper bag, several new pink animals and more music. Marissa found a big package with a dollhouse and furniture. She was surrounded in pink heaven. Matt tunneled and laughed through the wrapping paper and boxes. We corralled him to open his presents, a big floppy eared dog, trucks, cars and a train track. The boys tried to set up their new remote control car racing set in the middle of the wrapping mess. Jim was not to be forgotten and he discovered new socks, sweats, jeans and a belt. He handed me a tiny box from under the tree that he discovered while we were cleaning up and making sure all the tiny toy pieces were not thrown away with the mountain of boxes and wrapping paper. Inside was a solid sterling silver heart necklace with six tiny stones. The necklace was a reminder of hope, a mother’s heart with my six precious children. The six little diamonds sparkled in rainbow colors from our Christmas tree. It was bittersweet to look at as Becca’s heart was slowly failing. But I reminded myself that for today Becca was doing better, and this Christmas we had witnessed a true miracle. Some unknown Santa with a caring heart had done all this for us. But who, how, when? No longer were our cupboards bare. The kids and I made a fresh fruit salad with real whipped cream. Kristy peeled the apples and Nathan chopped them along with slicing frozen strawberries. Marissa cut banana coins with a bread knife and Ian added one handful of marshmallows to his mouth before adding the next handful to the magical miracle bowl of Christmas fruit. We dressed for Christmas dinner at my cousins. The family celebrated the day together with aunts and uncles, cousins and second cousins. All were there but one, our Becca. No longer would we be hungry again. We had food for the next month until our food stamp case opened. The kids had new toys to keep them occupied. We had warm clothing and mittens. I later discovered when our bills arrived, that some unknown Santa paid our phone bill, the utility bills, and our car insurance! We will be forever grateful for the gifts of that year, and we will never forget we witnessed a true Christmas miracle. I have from then on remembered to give back to others as you did for us. Thank you! What you did for us that year was unbelievable! You gave us the gift of hope and belief in miracles. Those were the same words whispered in tiny Becca’s ear ten days earlier. Was it connected? Over the next few years, the miracles continued helping us when we needed it most. I tried to find who our anonymous Santa was but we never discovered the giver of the gifts. Whoever it was did not want to be found out. Maybe someday that person or persons will read my writing, and I will finally be able to thank her or him for our Christmas miracle and generosity. Perhaps, we will never know. 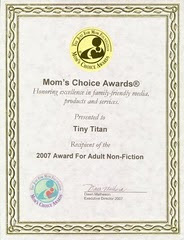 Tiny Titan, One Small Gift is Part 1 of the hard copy publishing of Tiny Titan, Journey of Hope, a Mom's Choice Award Winner for Best Adult Non-Fiction and carries a 5 Star Dove Award.